Searching for brands beginning with " r "
Welcome to Australia’s FRESHEST Online Designer Fragrance Store! Fresh Fragrance promises and delivers only genuine discount designer perfume and fragrance. Browse through our extensive range of authentic luxury brand products which are heavily discounted compared to the department stores. We ensure the best possible service through prompt dispatch from our Melbourne Warehouse, FREE and insured courier delivery and a simple ordering process. If you only want the best when shopping for Discount Perfume or Cheap Fragrance, there’s no need to look further! zip Pay- Buy Now, Pay Later! 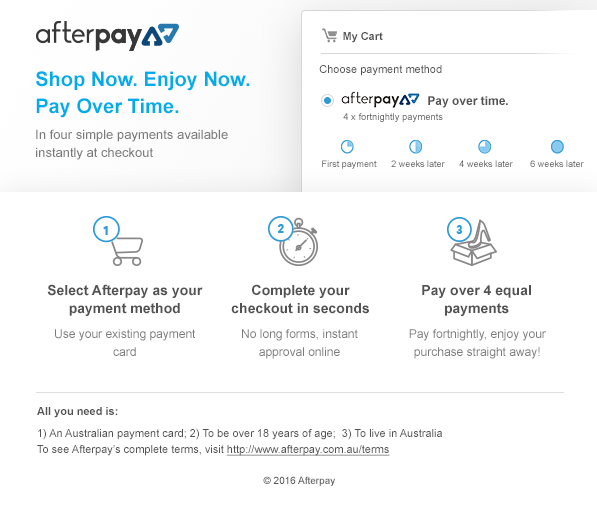 AfterPay- Buy Now, Pay Later! Copyright Fresh Fragrance 2017 ABN: 53 384 456 988. All prices quoted are in $AUD and are inclusive of GST.